Anyone can browse the database at http://musicbrainz.org/ . If you create an account with them you can contribute new data or fix existing records details, track lengths, send in cover art scans of your favorite albums etc. Edits are peer reviewed, and any member can vote up or down. There are a lot of similarities with Wikipedia. MusicBrainz currently has around 1000 active users , nearly 800,000 artists, 75,000 record labels, around 1,200,000 releases, more than 12,000,000 tracks, and short under 2,000,000 URLs for these entities (Wikipedia pages, official homepages, YouTube channels etc.) Daily fixes by the community makes their data probably the freshest and most accurate on the web. You can check the current numbers here and here . That’s a lot of interlinked data! Which makes it a perfect candidate for Neo4j. Their MBID is “ 92e634a7-6023-4be8-be15-ebba822f5b34 ”. When it comes to public data sources, the question of their license is always one of the first things to look at. In the Musicbrainz case, these are the two interpretations out there. The core data, as noted above, is licensed under the CC0, which is effectively placing the data into the Public Domain. This means that anyone can download and use the core data in any way they see fit. No restrictions, no worries! What would MusicBrainz data look like in a graph? What’s with the “Artist Credit” entity? Well, it’s for when more than one artist worked or performed on a track or a record. 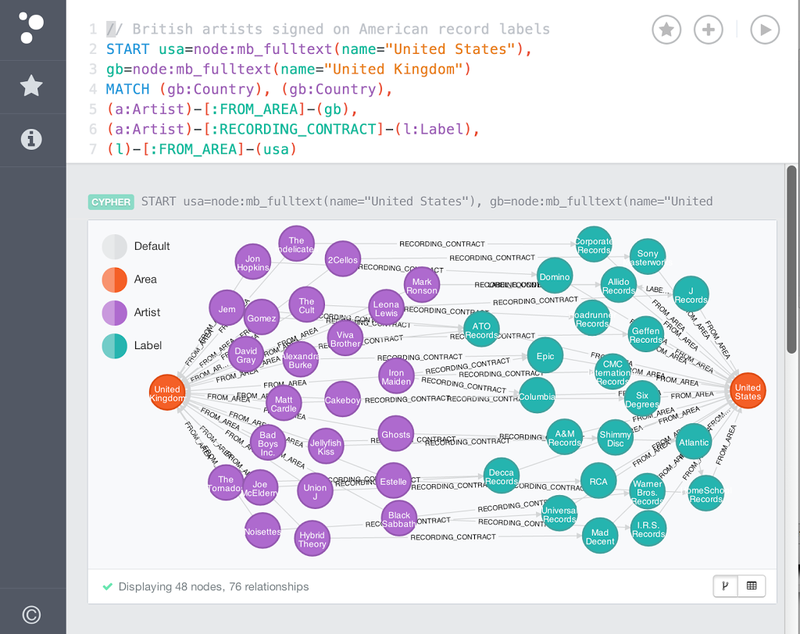 How to import MusicBrainz data into Neo4j? sql2graph was inspired by Max De Marzi blog posts on using batch-import: part 1 (http://maxdemarzi.com/2012/02/28/batch-importer-part-1/) and part 2 (http://maxdemarzi.com/2012/02/28/batch-importer-part-2/). It is a set of Python scripts that ease during mirgation from relational databases to Neo4j, the Musicbrainz migration being one example, see here for detailed instructions. 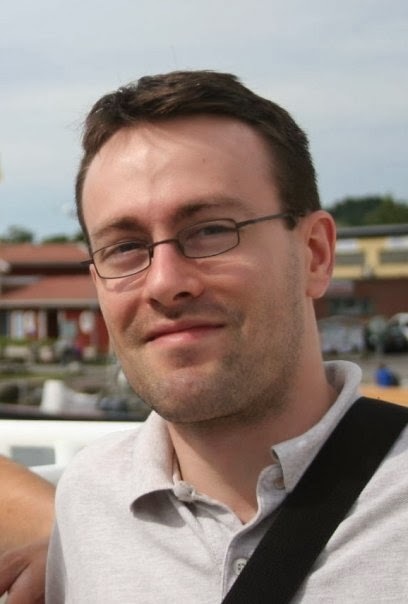 You can have you own PostgreSQL mirror of the MusicBrainz database using a nifty Python project called “mbslave” by Lukáš Lalinský ( https://bitbucket.org/lalinsky/mbslave ) and feed it with a MusicBrainz database dump (get this dump following the instructions from http://wiki.musicbrainz.org/MusicBrainz_Database/Download ). The core data dump mbdump.tar.bz2 is in the public domain and is 1.5GB. Please use the mirror that is closest to you (EU or US). You should be good to go with that. See http://musicbrainz.org/doc/MusicBrainz_Database/Download for other ways to get the data (virtual machine, MySQL mirror). For this amount of data (around 30M core entities and lots of relationships between them), there’s a tool that we recommend: Michael Hunger’s batch-import project (right now take the “20” branch for Neo4j 2.0 support). It’s a tool that takes TAB-separated values files as input and populates a Neo4j datastore. The format is rather straightforward, and usually requires as little as two files: first one with nodes and their properties, and the second one for the relationships between those nodes. For each core entity we would like as nodes in our graph, we convert the corresponding SQL table schema to an Entity and it’s Properties. a name , here “artist”, that will become an :Artist label for the nodes. 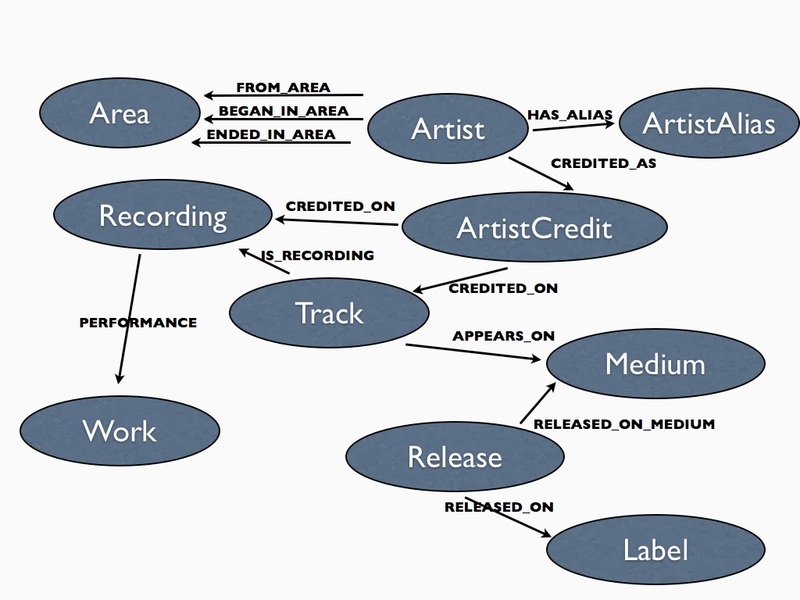 Entities can have relationships with other entities (that’s the whole point of wanting to put them in a graph, right?). You define those after the Properties list for your nodes, as a list of Relation() instances. All Relationships must have a “start entity” and an “end entity” , using the Reference() class, which is very similar to the Property() class. For the “release_label” table, we do not need to create nodes in Neo4j, we’re only interested in the relationship between the two entities “release” and “label”, so the Properties parameters is left to an empty Python list, . 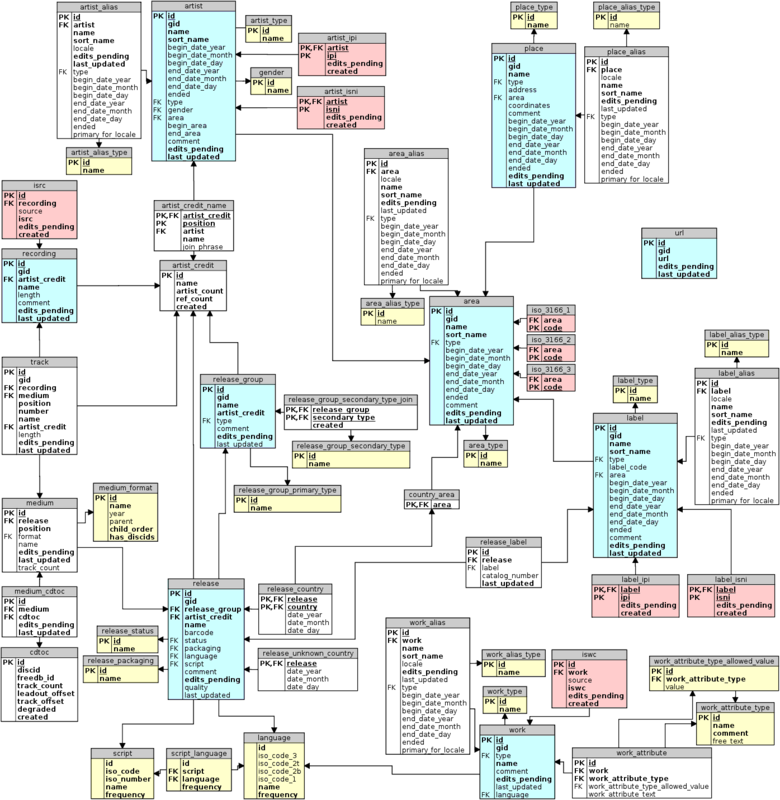 Once you have this schema mapping defined, you can run sql2graph and it will output a nice SQL script that you give to psql which can export directly to TSV. In fact we did the work for you. Either tweak the mapping to add or remove a few properties or entities, and run sql2graph… or simply grab the SQL export script and feed it to psql. batch-import supports automatic indexing if your CSV header’s columns contain a type and index name, for example “name:string:mb” if the “name” field in nodes is a string that you want to index in an index called “mb”. By default the SQL export script tells psql to output two files, into the /tmp directory, one for nodes and one for relationships: musicbrainz__full__nodes.csv and musicbrainz__full__rels.csv. Now, let’s point our Neo4j server to our newly created Musicbrainz database in its neo4j-server.properties and look at some sample query: Voila! In the next post, we will explore some interesting queries on this data, stay tuned! 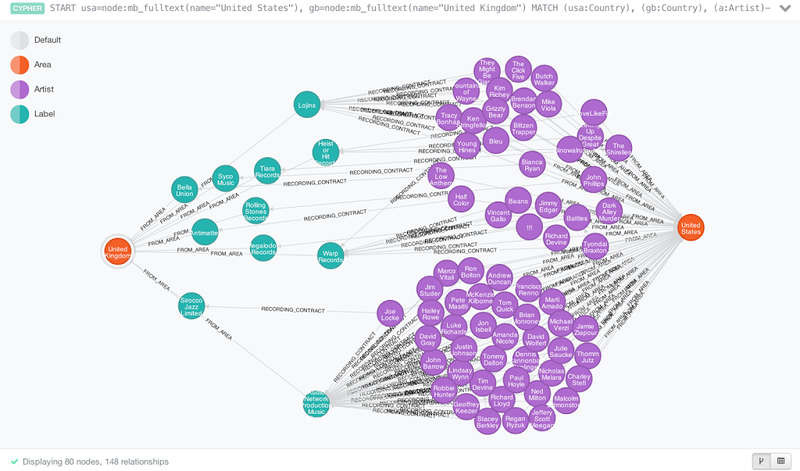 Thanks a lot to Michael Hunger, Peter Neubauer, Max DeMarzi and the fantastic Neo4j community for all the help and inspiration for this blog! [WARNING] POM for ‘org.neo4j:neo4j-cypher-commons:pom:2.0.1:compile’ is invalid. Are these packages for 2.0.1 not available anymore? I was also unable to get the import program working with the latest 2.1.2 version of neo4j, although I’m not sure if that works with the importer yet. I’m using mvn 2.2.1, jdk 1.7. I followed all the steps using the default configurations from sql2graph (got it from the default master branch) and batch-import 2.0.3, but the relations are all messed up. And it only brings 13 objects with Beyoncé as Artist, but “Save the Cookie” as Artist Credit. The result from the PostgreSQL query is very different. Also, Neo4j (2.0.4) is running much slower than PostgreSQL. I’m running on a Windows8 env. Am I missing something? 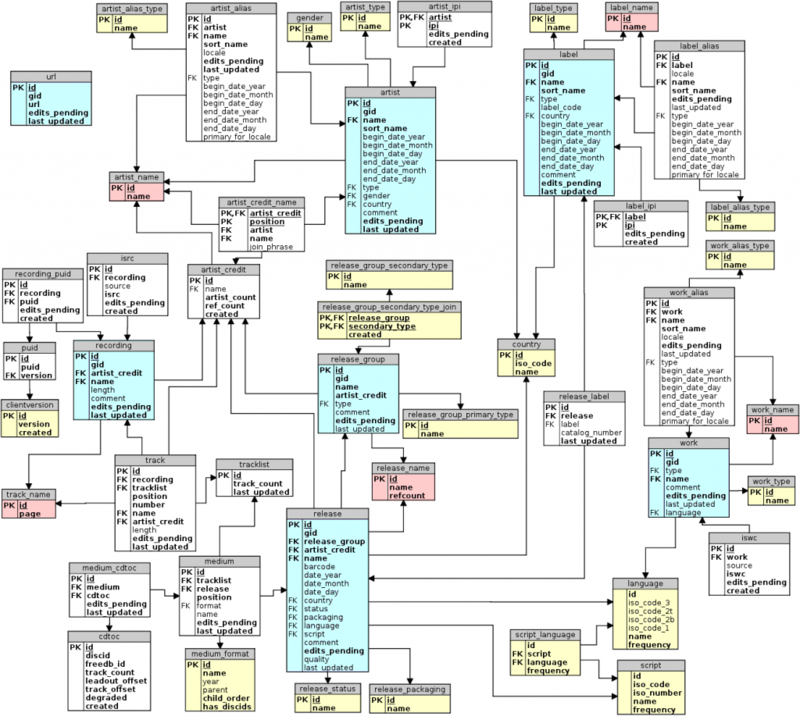 Can you provide the sql2graph script you used? Thanks.